Barrossa at the Esplanade is an Australian-inspired restaurant and bar, located near the Esplanade Theatres on the Marina Bay area. Its proximity to the cultural centre makes it an ideal spot to come and relax with your friends and colleagues before or after a show. 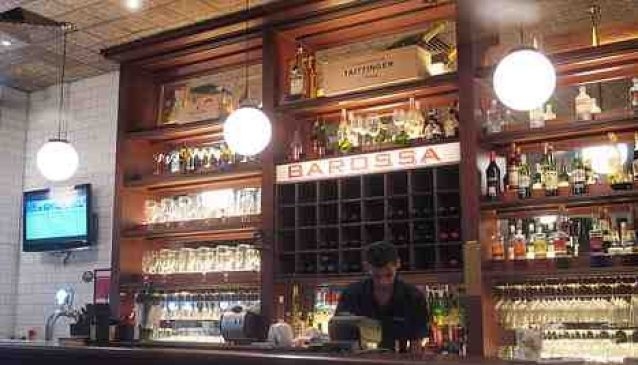 At Barrossa, you'll satiate your crave for premium Australian meat such as their Grilled Stockyard 200days Angus Prime Rib, their Roasted Tasmanian Rack of Lamb. And if you like fresh seafood, go for their delicious Mussels and Old Time Fish and Chips, the whole to be washed down with a wide range of wines and craft beers by Archipelago Brewery.